Imagine a notebook running an operating system different from everything you’ve seen before. Imagine that you don’t have to install any applications because they’re all there – one click away. Imagine one of the biggest hardware manufacturers teaming up with one of the biggest software manufacturers to create something revolutionary. What would that be like? Experience personal computing from another angle with the Samsung Chromebook netbook powered by the Google Chrome operating system. 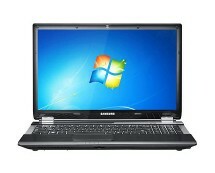 Opt for change now and get the Samsung Chromebook 3G for only £354.97 (after Samsung’s cashback) from laptopsdirect.co.uk. More details on the cashback offer can be found here. The most attractive thing of the Samsung Chromebook, or the Samsung XE550C22-H01UK by its official name, is the operating system it incorporates – Google Chrome. In times dominated by operating systems that are getting more complex by the day, using a minimalist approach, as Google did, might seem a risky move, but just how risky is it actually? The Google Chrome operating system boots up almost instantly and runs very quickly; this is due to its simplicity and the hardware that powers the Samsung Chromebook. A 1.3 GHz dual-core Intel Celeron 867 processor ensures enough processing power and the 4 GB of RAM allows applications to run smoothly without jamming up the system. Applications are web-based, meaning that they are not installed locally and do not take up space on the hard drive. This is an important thing because, well, space is very limited in this case. 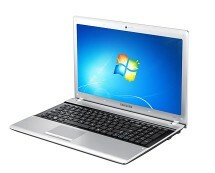 The Samsung Chromebook uses a 16 GB solid state disk drive as a storage medium. Using memory chips instead of mechanical disks to store information, the unit is significantly faster compared to regular hard drives, making the Samsung Chromebook even faster. 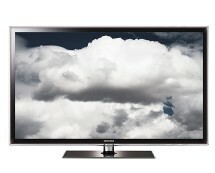 However, the small storage capacity of only 16 gigabytes might represent a serious drawback for media enthusiasts. Considering the fact that the Samsung Chromebook is primarily designed to be used for web-browsing and web-specific operations, Samsung’s decision to opt for a reduced size disk drive is understandable, especially if that means maintaining a lower price. 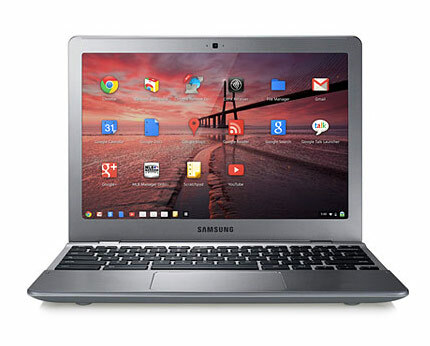 In terms of connectivity, the Samsung Chromebook is quite well equipped, especially when it comes to Internet connectivity – an understandable fact considering that, after all, it’s a device that relies heavily on an Internet connection. It comes with the classical Ethernet port, wireless adapter and 3G support, which is not a very common feature. The netbook comes with 2 USB ports, a display port, audio ports and a 4-in-1 card reader. The design of the Samsung Chromebook is pretty common, with no eye-catching stuff to make it stand out from the crowd. Still, upon a closer look, you can find an interesting difference in the keyboard – the lack of the Caps Lock key. The key is replaced by a dedicated Search key. Let’s not forget we’re talking about a Google-powered device here, so it’s obvious they had to do something to leave their mark. The Samsung XE550C22-H01UK ranks good at portability; with a 12.1” display, it’s small enough to easily carry around everywhere yet big enough to allow you to browse comfortably. 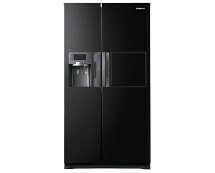 The 4-cell battery and the reduced weight of only 1.37 kg also contribute to its portability.